To counter the mounting threat of deforestation and advance forest and biodiversity conservation in Liberia’s Gola Forest, Partnerships for Forests is supporting the RSPB and project partners to develop a market for forest-friendly Gola cocoa. The Gola Forest, straddling the Sierra Leone/Liberia border, is the largest remaining single block of Upper Guinea rainforest — an internationally recognised biodiversity hotspot. The 210,000 hectare area it spans in Liberia encompasses the recently gazetted Gola Forest National Park and the proposed Foya Nature Reserve, as well as numerous national forests. The Gola Forest’s 88,000 hectares are severely threatened by deforestation from an expanding population, unsustainable commercial activities and subsistence agricultural production. One strategy to address this involves developing deforestation-free, rainforest-friendly Gola cocoa. However cocoa farms in the landscape are typically small (at less than 1 hectare) and were planted before Liberia’s civil wars. Much knowledge about cocoa growing has been since been lost, and production levels are low and of poor quality. 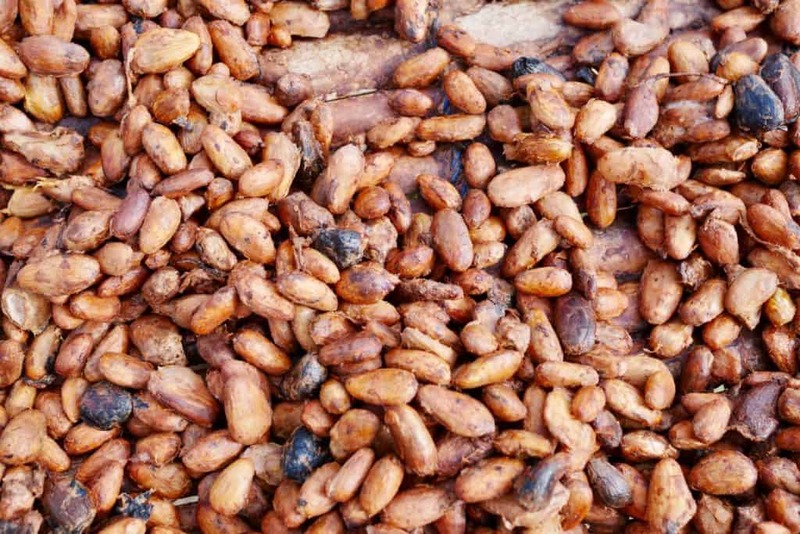 Bad road conditions also challenge the development of a market for Gola cocoa. Partnerships for Forests (P4F) is supporting a partnership between the RSPB wildlife charity, VADEMCO (a Liberian agribusiness), TWIN (a UK trade NGO) and the Forest Service Authority of the Government of Liberia, to replicate the expertise from a successful model in Sierra Leone into a forest friendly cocoa landscape in Liberia. RSPB and partners are already supporting smallholders around protected forest in Sierra Leone to market forest-friendly cocoa, and sold a first shipment to premium international markets in 2017. The vision is to develop this model within Liberia, and generate lessons for potential replication in other cocoa producing areas around protected and community forests. This project will contribute to sustainable land-use, development and conservation of forests in the Gola landscape by developing of rainforest-friendly Gola Cocoa within biologically diverse agro-forestry systems. The project will preserve the integrity of rainforest blocks in Liberia—reducing ecological degradation and connecting remnant forests for wildlife. P4F is currently supporting the first phase of the project which includes conducting baseline studies and signing the MoU with implementing partners. P4F’s support is further geared towards defining ‘forest-smart cocoa’ in Liberia, as well as increasing yields and consequently the incomes of farmers. This project stage will explore the feasibility of developing a niche, export-oriented market for forest-smart cocoa which is profitable and also works for communities in the Gola landscape. This project is expected to contribute to the Greater Gola Landscape vision  by bringing an area of 21,000 ha directly under sustainable land management by 2020. It will also benefit an estimated 3,500 farmers and 19,000 household members through more sustainable and diversified livelihood options, providing capacity building opportunities, and increasing access to high value markets. By 2020, this project is expected to leverage an estimated £3,200,000 in private sector capital.